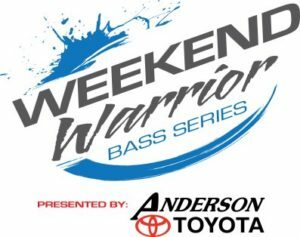 The Weekend Warrior Bass Series (WWBS) is designed for the beginner or average fisherman that for whatever the reason doesn’t have the time to devote to a professional circuit. With eligibility requirements on who can fish a WWBS event, anglers can fish an event knowing that they are not competing against professional anglers or guides. The entry fee will be $240 per team and cover lakes that are closer to home.